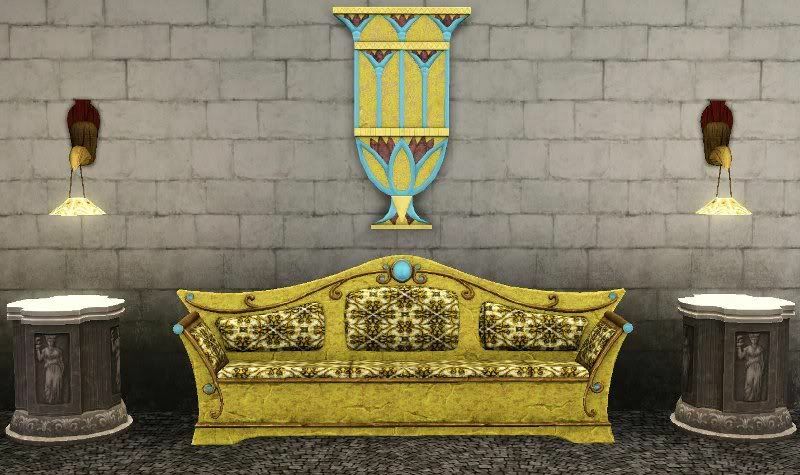 This is The Sims Medieval Sorceress sofa for The Sims 3. 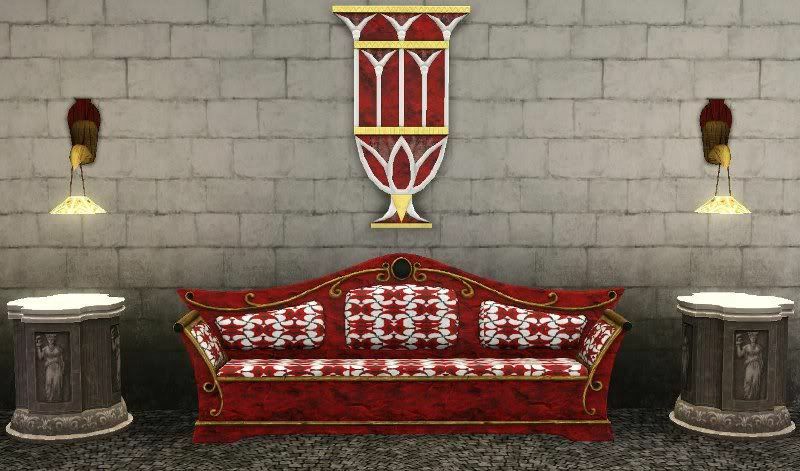 The sofa has 3 channels, and 4 default color/pattern choices shown below, with some brand new patterns for the cushion. Enjoy! Only thing is a lot of the stuff you're converting has already been converted over at MATY. I've got a list of things that haven't been converted yet (and there is still quite a lot of it) if you're interested. That's okay, as someone who's been converting since The Sims 3 came out I've found that you will most likely run into something that's been done before somewhere. I can't police all the custom content on the net to see if it's been done. 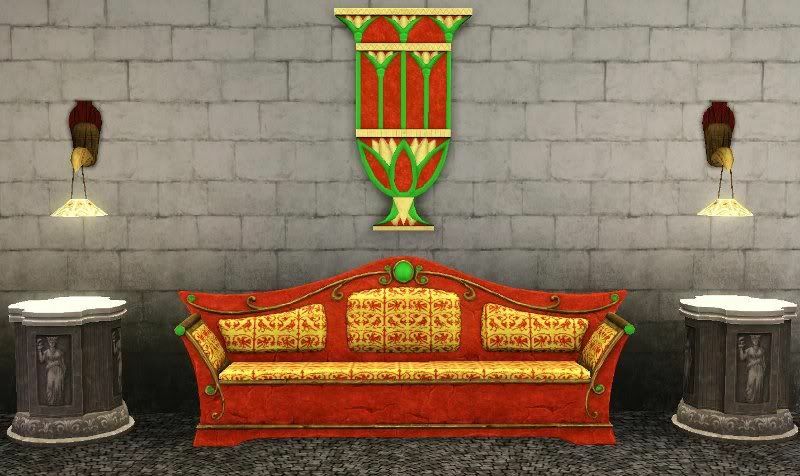 One thing though, all conversions are different because they are made by different people (except for those few TS3 - TS2 ones where no texturing is involved). Also, there's a BIG misconception that conversions are easy, or take less work than regular uploads, this is NOT true! Conversions for any game take just as much work as anything else! 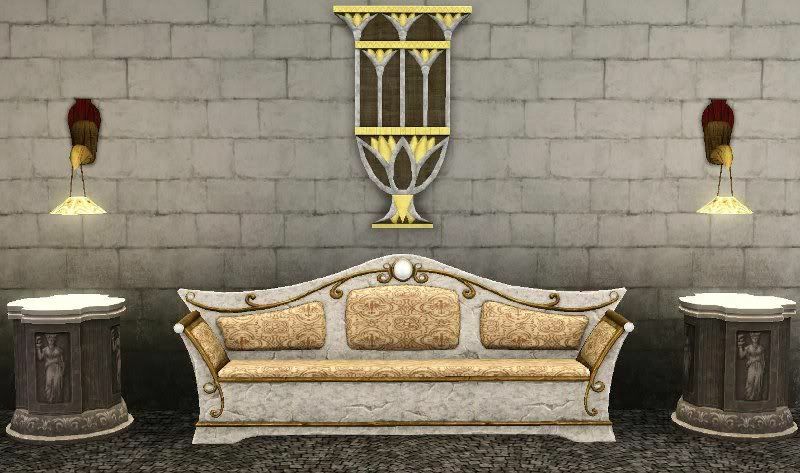 The TEXTURING is hard for TS3 - TS2 conversions because most TS3 textures are greyscale. The TEXTURING for TS2 - TS3 conversions is hard because you have to make channels work, overlays or stencils, speculars, and also some ts2 meshes have 2 groups with 2 textures when a lot of Sims 3 meshes have only one group with one texture, and adding another texture is a pain (I have to remap and combine the textures with UV mapper). Sorry Nate if I'm going off on a tangent on you lol, I just am so tired of people saying conversions are low quality or lazy and wanted to voice that here. Ignore my rambling!